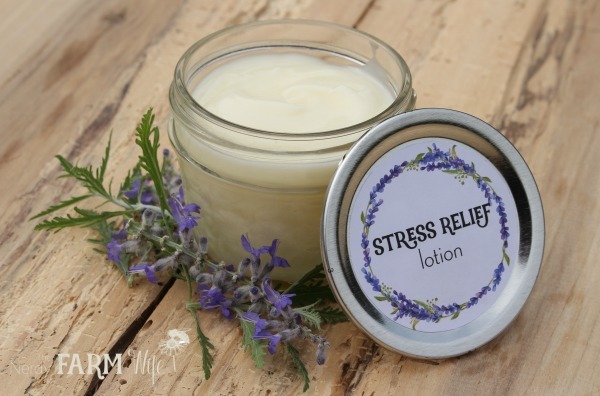 This lotion features a quartet of essential oils selected to help calm nerves and uplift the mood. I also incorporated a bit of magnesium oil into the recipe, since it’s such an important mineral to support our nervous system; we all could use more magnesium in our life! If you don’t want to include the magnesium oil, if it’s out of your budget, or you find it too drying for your skin type, feel free to use more distilled water in its place. 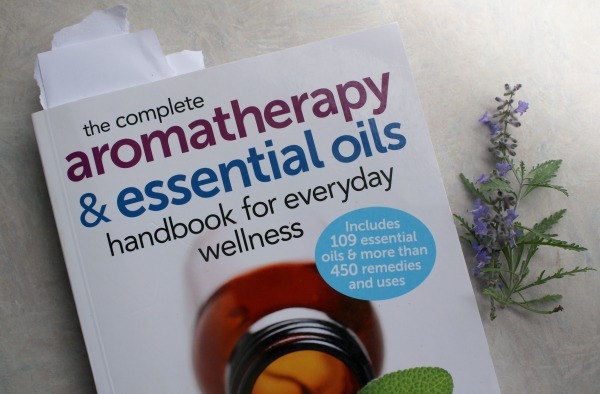 To decide which essential oils to use in the recipe, I consulted my copy of The Complete Aromatherapy & Essential Oils Handbook for Everyday Wellness by Nerys Purchon & Lora Cantele. It’s such a fantastic book! There’s so much confusion about essential oils floating around the interwebs, it’s good to have a solid reference like it for the home library. The book has a rather extensive chart on pages 312 and 313 of recommended essential oils for various stress conditions (anger, anxiety, apathy, and so forth), so if you already own the book, feel free to substitute any of the other suggested essential oils for the ones I use. Don’t go over a combined amount of 40 drops of essential oils though, to maintain a safe dilution rate. *I used apricot kernel oil for this batch, but you could also try sunflower oil, olive oil, avocado oil, hemp oil, sweet almond oil and so forth. I use vegetable based emulsifying wax NF from Mountain Rose Herbs to make lotions like this one. Don’t try to substitute with beeswax as it won’t work. Lotions made with beeswax can’t hold this high amount of water and you’ll end up with a separated mess! 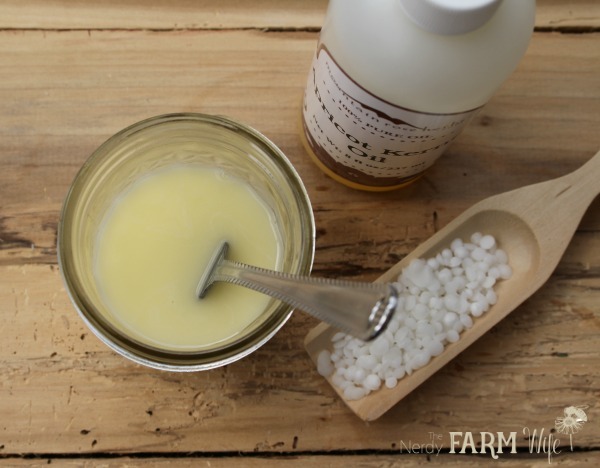 Making this lotion is as easy as 1-2-3! Add the oil and emulsifying wax NF to a heatproof jar or upcycled tin can. Measure the water and magnesium oil, if using, into a half-pint (250 ml) canning jar. Place both containers into a saucepan containing 1 to 2 inches of water, then set the pan over a medium-low burner for 10 minutes. This gives time for the wax to fully melt, while the water and magnesium oil combination reaches a nearly matching temperature of around 150° F or 66° C. Remove from heat. Carefully pour the hot contents of the two containers together. You’ll notice the mixture immediately start looking milky as the the oils and water combine and start emulsifying on contact. Using a fork or small whisk, stir the lotion briskly for 30 to 45 seconds, then set aside to cool, checking and stirring often. To speed the cooling process, place your mixing container in a bowl of ice water. Stir occasionally, for around 30 seconds at a time, as the lotion cools and thickens. If you’re adding a preservative to help your homemade lotion stay fresh for several months, do so now as well. If you don’t add a preservative, shelf life is only around 1 week, if stored in the refrigerator. I currently use Leucidal Liquid SF, a preservative naturally derived from lactobacillus ferment, combined with AMTicide Coconut, a coconut fruit extract that helps inhibit mold. Pour the lotion into a pump-top bottle or glass jar. The lotion will continue to thicken up some as it sits over the next several hours or overnight. You can find the file for the printable labels HERE, sized to fit a standard sized canning lid. For best results, make sure that your print settings are set to “actual size”. Print out on repositional sticker paper (I use THIS KIND), cut into round label shapes and affix to the top of your lotion. If you don’t have sticker paper handy, you could also print on regular printer paper and use a glue stick to carefully attach each label to canning lids. 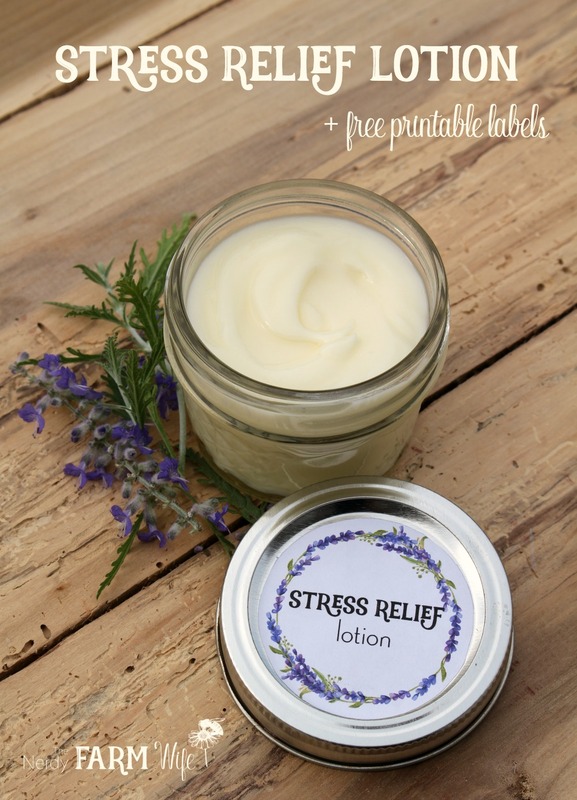 Tagged lavender, magnesium oil, stress. Bookmark the permalink. Approximately how much lotion does this make? Hi Sara! I would say around 1/2 cup (118 ml) or so. I made this lotion tonight. I had been wanting to try to make lotion in the past but couldn’t find much in the way of recipes. I made a larger batch than the recipe you posted and ended up with 3 8oz. mason jars. I scented one with the essential oils you have in the post, one with a french vanilla fragrance for a friend and a manly fragranced one for my hubby. I used half avocado oil and half cocoa butter. We all tried it out as soon as it was cooled and we all love it. Hi Jen! I’m so happy to hear that you like the recipe! All of the versions you made sound so lovely! I like the thought that I would be making it and would know what is going into it, compared to the brands in the store where I don’t understand what some of the ingredients listed are. I am eager to try, sounds wonderful – thanks for sharing! This looks great, but I’m wondering where I can get AMTicide Coconut and Leucidal Liquid SF? If through Mountain Rose Herbs, which item would I be choosing?